You use telling statements to sum up information so you can move a story or article forward. Telling speeds up the pace when you don’t want to add another ten paragraphs. For instance I’m throwing us into the middle of a conversation between Reba and her husband, Jerry. He insists she needs to buy a new winter coat. "This one is good for another year," she said. "But I like oracle purple." "Oceanside blue is the in-color this year." "We can’t afford it. We owe—"
"You need a new coat, and I want you to look good when we attend all those holiday events." They argue about the purchase of a coat. If done right, and without the writer telling us, readers become aware that the argument isn’t about buying a coat, but about the way each perceives money: Jerry’s a spendthrift; Reba’s frugal. After three pages of dialogue as well as show-don’t-tell writing, readers grasp that Jerry is the overpowering personality. Do you need another three paragraphs to show that Reba buys a coat? Probably not. Let’s say that’s not crucial to the story. So how do you end the scene? Here’s a simple remedy through a telling statement: Exhausted after the third argument that week, Reba went to Macy’s and bought herself a belted oceanside blue coat. That’s called a summary statement. Sometimes summary statements make good sense. Don't be afraid of them. 1) There shall be none of this business about rolling your eyes or dropping your jaw. “That’s so cliché,” Cec says. Manicured lawns are just as bad. That makes my husband very happy. 2) It’s improper to say, “I sold OVER five million books.” It should be “MORE THAN five million books.” Hey, if I’m selling that many books, does it really matter? 3) Starting sentences with words like hopefully is not a good thing. I can’t remember why, but hopefully I’ll never do it again. 4) For some reason Cec thinks “feel free” is cliché too and said “tsk tsk” in my presence. “Do you know how hard it is to come up with another way of saying feel free?” I said. He responded by rolling his eyes. Hopefully, Cec won’t get too mad that I’ve posted this. He’s told me over five million times to mind my own business, but sometimes I just can’t help myself. Please feel free to send him warm birthday wishes—just don’t tell him how you found out. I’m sure he’ll drop his jaw at all the attention. “I’m so glad I have job security,” Twila said. “The curmudgeon can’t fire me because he can’t live without me.” With that she giggled and went about her work, which, by the way, is enough to keep her busy for the next ten years. "Did I fix it?" Mike Brewer asked when he pointed to a lengthy paragraph in his article. He had worked hard at writing a scene to "show not tell" and had learned to do it well. In writing, the most important principle we teach, preach, urge, implore, and beg is: "Show it." Because he had a short section of telling, Mike assumed he had committed a literary sin. (He hadn’t.) Mike had learned to show and progressed to lesson two: It’s all right to tell--sometimes. In fact, good writing flows between showing and telling. You use telling statements to make value judgments. Maybe an example will help. I read an article in Publisher's Weekly that was informative and relevant. Read that last sentence again. That’s an example of telling. I stated how I responded to one article. That is, I told readers how to think by citing two positive qualities. I made a simple declarative statement, but I wrote it as an indisputable (and unproven) fact. That defines telling—thinking for readers. At times, that’s acceptable and occasionally necessary. Because good writing is subtle you need to learn to move between showing and telling readers. Don't confuse best-selling authors with best-written books. Most of us know writers who sell big but it's in spite of their weak writing. Aside from grammar, he told us, and how do we, the readers, know what nervous is? We can read into the book words that aren't there, but (tsk tsk), Baldacci could have done better. 2. A famous author wrote a single sentence of dialogue and added, "he asked curiously." Clumsy writing at best, curiously doesn't show us anything. Does the writer mean the man spoke in an odd way? Does he mean the man was inquisitive? Bad writing gets into print every day. Why do you want to add to it? Why don't you become a corrective voice? For better showing, tell only a fraction of what you know. Choose the details you want readers to grasp. Focus on where the action is or where the drama lies. Go for the emotions and develop a sense of identity. Select elements that allow for an accurate vision and include only the aspects that matter—details that suggest more than they describe. Here's how it works. Ella was sad that Eric was leaving. As she watched him go, she began to cry. The two sentences aren't awful, but the writer hides—that is, readers get no emotional tug. Ella waved goodbye from the bedroom window. The first tears slid gracefully down her cheek. That's not much, but it's enough to make readers care. Some writers go too far and present a heavy, over-the-top picture, like the following: Tears streamed down Ella's face, nearly blinding her. For nine hours and twenty minutes she had wailed over his leaving her for another woman, but no peace came to her. She clutched his door key to her breast and caressed it as her piteous sobs echoed through the empty house. "You don’t write about the horrors of war. No. You write about a kid’s burnt socks lying in the road. "—Richard Price. • hints at or reveals motives behind an action. This doesn’t mean you want to fill the pages with details. Think of capturing an image. Ask yourself, what is the picture I want to capture? A showing exercise: Here’s something to consider. Below is a list of common nouns. If you color in details, you give readers a vivid picture. A few, well-chosen details make your fiction or nonfiction come alive. Instead of a tree, use elms, oaks, mesquite, or refer to the golden leaves of the maple. Instead of a soft drink, name it, but describe your pleasure or disgust as you sip or guzzle. By adding the right details, you open readers' understanding and enable them to sense what you see and feel. Telling is like overhearing someone talk about another person; showing is like being introduced to the person. Showing allows readers to draw inferences and evaluate the action; it involves them emotionally and they become part of the scene. The rule applies to nonfiction or fiction. If you say, "Evelyn had a broken leg," readers can’t feel anything, but if you describe a bare bone sticking through pale skin or describe the way she hobbles on crutches, they vicariously experience Evelyn's pain. This is especially important in dealing with the emotional state. Don’t just say a person is depressed; readers need to see the person acting in a depressed mood. It’s the adage that actions speak louder than words—especially telling words. When done well, showing reveals character and enables readers to feel they are participants in the events. No matter how small the action, describe and don’t merely inform. The example above shows how much life you can add to a single sentence by the use of a few words. You could make the illustration even stronger: I sneaked into Miss Anderson’s classroom, desperately hoping she wouldn’t see that I was five minutes late. My pulse raced, as I tiptoed to my desk. Just then my book crashed to the floor and heads turned toward me. Miss Anderson's dark eyes glared. Ask yourself: When I show, what do I want readers to feel? Here’s what we call a telling statement: Jason raged against his wife. Because rage is a strong verb, many writers assume they’ve shown emotion. They haven’t. Here’s a picture of rage: Jason grabbed Ellen’s chiffon dress off the hanger and ripped it down the front. He threw it to the floor and stomped on it with his muddy boots. Showing brings life to your writing and makes readers part of your story. The first major piece of advice hurled at beginning writers goes, "Show, don’t tell." I prefer to say, "Whenever possible, show readers." If writers do nothing but show, their articles and books go on endlessly. What do we mean by show? Think of this principle as presenting a picture—something readers can see if they close their eyes. Good showing also involves other senses, of course, but it’s easier to show this using the visual. For example: I jogged through a San Francisco neighborhood. That sentence told you facts. If you can close your eyes and capture a scene, it’s because you have read something into the text that wasn’t there. Patterson uses two senses and we see the dogs, the lovers, the Chinese, and we hear the dogs as well as the bickering. That is good writing, because he drew a picture for us and pulled us into the San Francisco scene. In one sentence, we jog alongside the protagonist and live vicariously. Good writing is subtle. Sometimes one simple detail conveys more than a paragraph of descriptive words. I can't recall when I didn't want to write. Although I tried to get published at age 16, I had nothing accepted until I was 38, and only after I learned a few things about the publishing industry. After I had sold at least 20 articles, I made a double commitment to God and to myself. First, I promised that I would never stop learning and improving as a writer. Second, I promised I would do whatever I could to help other writers. I've tried to offer help and to find more opportunities of sharing what I've learned. This blog represents my commitment to continue to improve and shows the results of my learning that have enabled me to partially fulfill the second part of the commitment. The best statistics say only about 2 percent of writers make a full-time living at the craft. I consider myself greatly blessed because God has honored my double commitment and my writing income has supported me since 1984. For years, I've cringed when I read shoddy writing in print, especially in those instances that would take little effort to improve the quality. I assume that's because writers don't know better and want to learn. I want to help you to become better; however, through this blog, you'll discover no easy path to writing success. Good writing demands discipline and constant learning. I hope you'll find this blog helpful in your growth. I also confess that writing this blog is a defensive action. 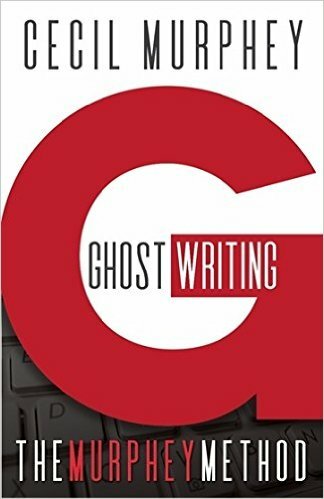 My assistant, Twila Belk, and one of my writing cronies Jim Rubart continue to urge me to share what I've learned about writing. 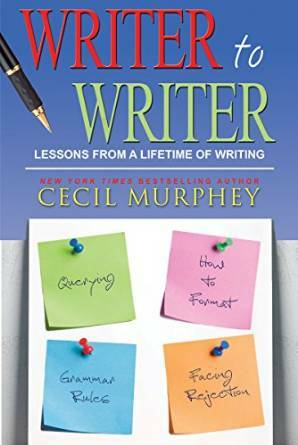 Hence, the tag line supplied by Jim, "Lessons learned from a lifetime of writing." I'm still learning. My goal is to send in manuscripts that make editors weep and tell me, "I couldn't find a single thing to change." In the meantime, I pass on what I've learned from my years of professional writing. Hi, this is Twila, Cec’s loyal assistant. Cec doesn’t like to talk about himself, so I get the job of answering the “who is Cecil Murphey” question. He specifically told me to write something nice. Cec proudly refers to himself as the curmudgeon on writing loops because he often takes the contrarian viewpoint. Rather than being saintly sweet and orthodox when helping other writers, he prefers the honest approach. (They don’t call it the Cec fire for nothing!) But writers don’t always see him as curmudgeonly. Many have experienced his philanthropy and gift of his time. I remember Cec telling me years ago that he could think of no better way of investing in God’s Kingdom than by helping other writers. 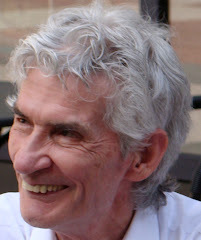 He has mentored countless writers over the years, many of whom are mentoring others today. Cec is a well-decorated author, having won many awards, including the Gold Medallion Award, a couple of Silver Angel Awards, two Retailers Choice Awards, and three Author of the Year Awards from the Dixie Council of Authors and Journalists. The list goes on and on. In April 2009, the American Society of Journalists and Authors (ASJA) honored Cec with the Extraordinary Service Award, one of their most prestigious awards. This award reflects the great respect the ASJA membership holds for Cec and his extraordinary service to other writers. 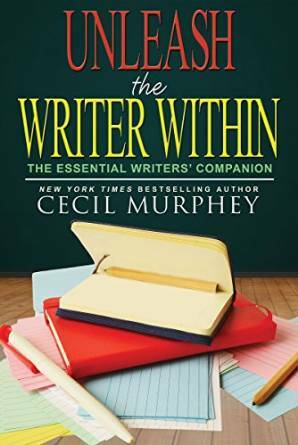 In 2007, Cec received the first Lifetime Achievement Award from The Advanced Writers and Speakers Association. He was recognized not only for his excellent writing but also for his selfless mentoring of other writers. Cec has authored or co-authored more than 100 books, including the New York Times’ best seller 90 Minutes in Heaven (with Don Piper) and Gifted Hands: The Ben Carson Story, which was made into a TNT-TV movie starring Cuba Gooding Jr. This month Cec’s 116th book will release.